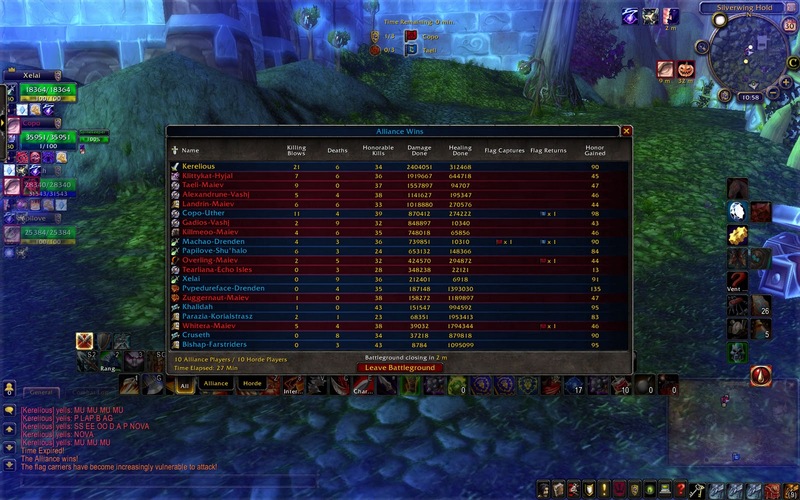 By far the most damage I have ever done in a battleground on any character! Of course, this has been our obligatory win for the night it seems. EVERY match has come right down to the wire, but we just couldn’t keep it together at the end. EVERY match has also been against a premade, so by that token, we’re doing slightly better than yesterday. And several of our members are literally fresh 80s in the last day or so. EVERY match has also been Warsong, since it’s Call to Arms. As you can see, I was a gracious winner. ::eyes narrow:: Who is this “Xelai”? ?